I love this purple! It is from OPI's Shrek Collection and it's called Funky Dunkey. 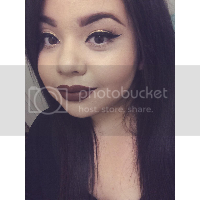 I love that it's not too intense and I can pair it with a lot of outfits. 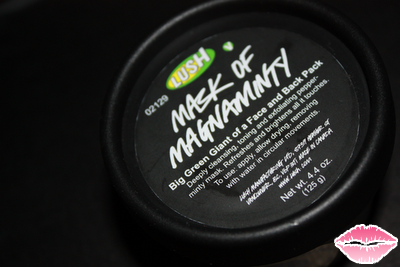 I am totally loving The Mask of Magnaminty from LUSH. So I visit a lot of makeup sites that offer beauty product reviews, tutorials, etc..and I have recently been on a search for the perfect facial mask that would not make my skin feel completely dried out after using it. I saw that a lot of different products from LUSH were getting a lot of positive reviews and I saw that the Mask of Magnaminty had a lot of good reviews and people were saying that they would definitely buy it again. I decided to go ahead and try it! I went to the store with my boyfriend and we had so much fun exploring the different products and my bf wanted to eat one of their cupcake soap bombs. I was so excited to go home and try it! I bought the 11.1oz one for $21.95 and you get a TON of product inside! I left it on for 15 minutes and when I washed it off I felt my face tighten up a bit and it had a nice glow to it! I love it so much! I'm not a huge fan of smell but it doesn't really stink or anything, I am just not that fond of a chocolate mint smell. If you are looking to try a new facial mask I highly recommend this one.